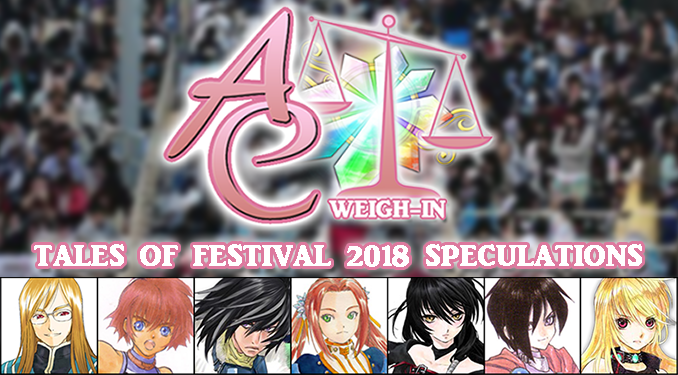 Because Tales of Festival 2018 is happening soon, expect there to be more than one of these this month. The topic of today's post will be focused on our speculations for the event. If a new Mothership title is announced, what features would you like to see in its gameplay/narrative? 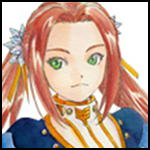 Narrative-wise, I would like to see something inline with what we have in Berseria, such as a focus on familial ties. 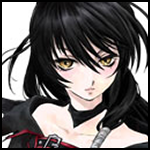 With regards to gameplay, Berseria was definitely fun and I would like to see them build on that. I think I would like to see the next Mothership title go back to basics and use a more simple battle system, or perhaps one like Tales of Xillia and its sequel. The last few Tales games have been pretty unique and stylized. 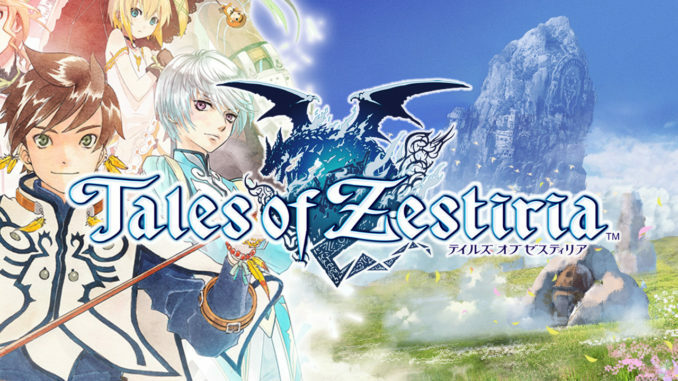 While I greatly enjoyed those games, I do miss the older style of Tales games like Vesperia and Abyss. In regards to the narrative, I'll be happy with whatever the writers develop, though a return to a more classic story-line would be enjoyable as well. Otherwise, I'd love to see the next Mothership title break new ground with the story! I kind of want to see a Tales game focusing on music. I liked how Tear used her Fonic Hymns in battles, so I want to see how a full Mothership game would utilize in singing and battles. I also want to see a Tales game that takes place in a cyberpunk universe. Features that I really would love to see is a skit system that was similar to Graces skits. I really enjoyed the skit style. 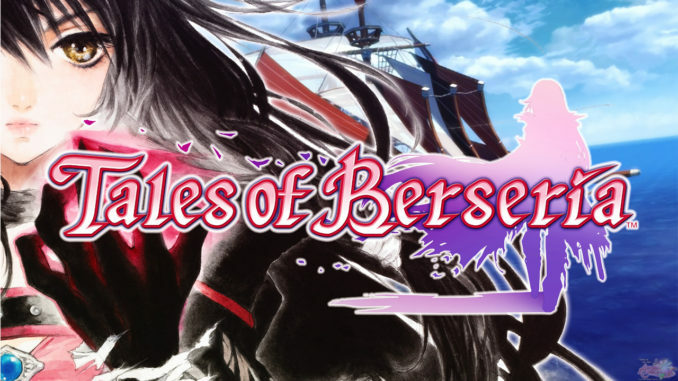 I also would love for the battle system to be similar to Berseria's battle system, I feel as though that was the smoothest battle system I liked next to Vesperia. I want them to keep focusing on character development, as that's the reason I have always loved the Tales of series. Specifically, better dungeon designs, PLEASE. It pains me how plain they were in the latest games. Maybe a new LMBS variety for the combat system would be interesting... Also, I hope they go for a less edgy-wannabe setting/style this time. That's easy. 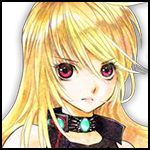 I hope it ends up being Milla Returns: Tales of Xillia 3. (Kidding of course. Or am I?) Battles should definitely stay the same as Berseria with maybe a few new features to keep things fresh. As for story, a new title with a new world is always welcome but should set up world building better than previous entries with sequels - Seed certain characters and plot points early, and save one or two conclusions and resolutions for the second game. If a port/remaster title is announced, which game would you want ported and what additional features would you like to see out of it? Abyss or Legendia in PS4 graphics please. 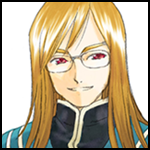 For the former, I would definitely like to see an Asch side, while for the latter, I would love to see improvements on the battle system. 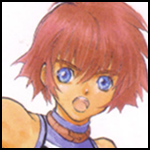 My answer will always be a remake of Tales of Eternia. Not just a simple remaster, but a full-blown remake. 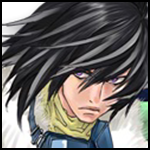 It's my favorite Tales game and I would love to see it remade from the ground up. Not that it needs one, I just want one. Besides that, I think a remaster for Tales of the Abyss would be fun as well. With this one, I would want to see an extra side-quest or something more than just costume DLC added to the game. 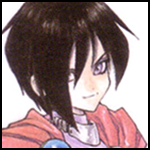 Ideally, an Asch mode, akin to the Tales of Destiny remake Director's Cut's Leon mode. However, much like my beloved Eternia remake, it is likely nothing more than a foolish pipe dream. Pie in the sky? Eternia and Legendia both have ideas that remain novel today held back by aging, clumsy gameplay. If you replaced the battle system of either of those (with basic updates in graphics and quality of life), I'd be interested in seeing them land again. Alternatively, port Destiny and Rebirth from the PS2 and maybe we can renew interest in their localizations. Rebirth had a PSP port, but it didn't go too far. I definitely want a Tales of Legendia remaster for PS4 or Switch. I want Legendia to expand a bit and allow the characters to visit the mainland and have sidequests. I want Rebirth or Innocence to be ported to North America. I want to be able to play one of the Tales I haven't played before because I don't know Japanese. I have played a little bit of Innocence and I really enjoyed it, but I would love to actually have it ported over, even if it's just on Steam. Tales of Legendia and Tales of Vesperia, because I haven't played both lol. And of course, a little spark of hope still lies deep inside me, begging for a Destiny remake... Remake. Or port. Just gimme Destiny. Due to recent events, it's highly likely we know what the title is if we do get a port. Should it prove to be true, it's been a long time coming for many fans who didn't get to experience the added content included in the PS3 version. 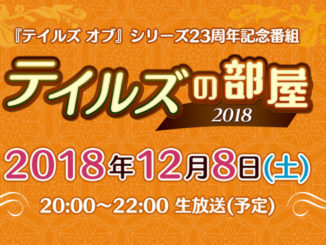 What anime adaptation/stage play would you like to see announced at the Festival, if there is one? I would love for them to continue with all the Tales of the Abyss stage plays, but I wouldn't say no to a Berseria or Xillia anime. 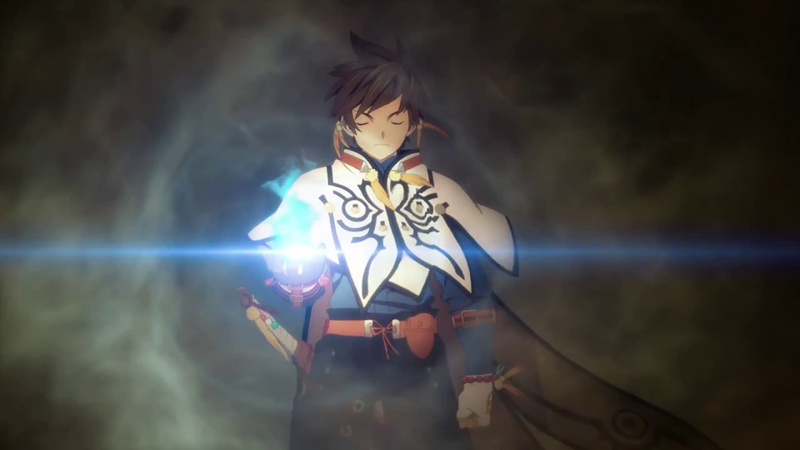 A new feature length film based on one of the Tales games would be a fun surprise, in my opinion. Regardless if it's a general adaptation of the specific game or a side-story, I'd be happy to see it. If it isn't based on a new game, I think Tales of Destiny could be a good choice for the movie. Perhaps to tell the story of how life went for Stahn and Rutee before the events of Tales of Destiny 2 and lead up to big reveals and moments shown in the game? 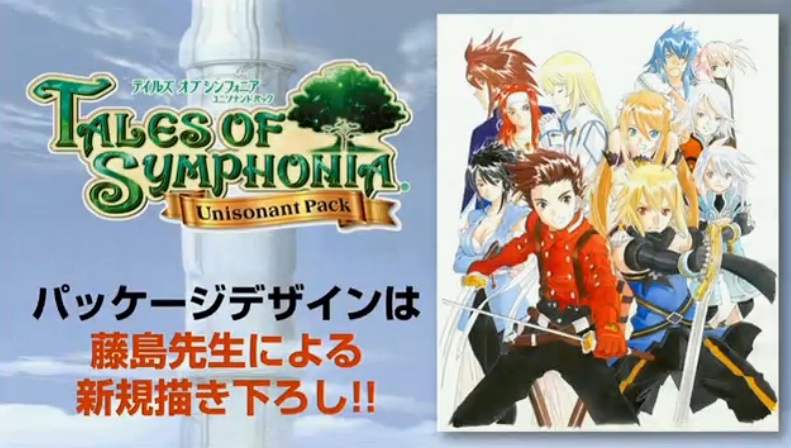 A film telling the story of Mithos and his gang from Tales of Symphonia would be a cool movie as well! Wait, I'm already dreaming crazy here. 13-episode comedy centering entirely on Berseria's NPCs at Titania and Meirchio while the party is away. Every Tales game deserve an anime adaptation. A stage play of Berseria would be pretty cool. I watched a bit of Abyss, although I didn't really understand what was going on. I don't tend to watch the Anime adaptations (although I want to at some point), but I do own a lot of the DVDs for when I have the time. I really loved Tales of Vesperia The First Strike, so if they did something like that again, that would be absolutely amazing. For stage plays, I'd say Des--okay, not being a fanboy here. 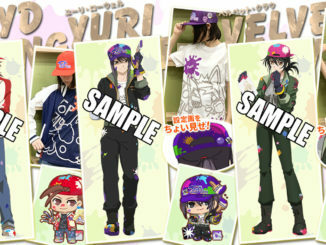 Maybe for Vesperia. Since Tales of Zestiria The X is the most recent anime entry, it's only natural for Berseria to be adapted. The game's release was not too far off, and would compliment the latest anime entry well. Any closing thoughts/final word on your speculations for Tales of Festival this year? There's so much hype for this year's Festival and I'm very excited about it myself. I'm definitely looking forward to any surprises in store for the fans in the coming week! I'm sure we'll see a few new Tales figures as well. My only hope is that some articulated action figures, such as figma of S. H. Figuarts, are announced too. I'll believe in the alleged Vesperia remaster when I see it. It's sneaking up on two years since the last mothership release and no news on a new one - an unprecedented gap. It's good if they're taking needed development time, but the worrying rate at which rumors are catching fire (Vesperia 10th, the Switch game) shows the fanbase is getting antsy. If an announcement is coming, this is the occasion for it. There aren't hard times you can't announce anything, obviously, but there won't be another major Tales event until December. 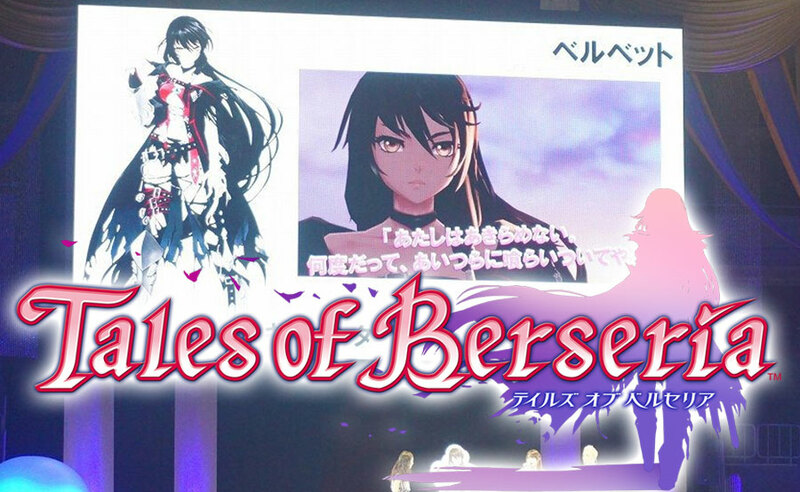 Berseria was announced prematurely at Tales of Festival 2015. BNEI calculated that they needed to show anything to calm concerns, even if all they had ready was a title and a portrait. Maybe it's that time again. I just hope that the influx of Legendia cast isn't for show. I also hope that they actually announce something worthwhile. 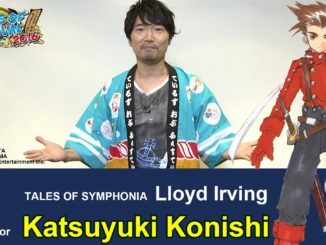 I'm not sure if they would do this, but a reason for why they closed down Tales of Rays which was a unique mobile game for Tales would be nice to hear. I personally would love for them to bring it back, if that kind of miracle can occur. 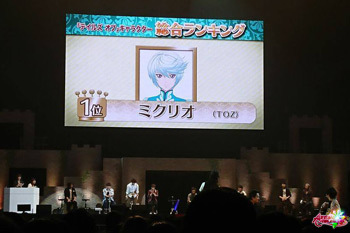 I don't recall seeing any links for the 2018 character popularity poll? Should there be one (that I'm not aware of), I could see Eizen winning that. Quite the popular character these days. Lyrrad - Leon, Reid & Jade Kaodra skit faces. Brilliant Cataclysm - Hisui skit faces. CamelieMimika - Velvet & Eleanor skit faces.